I was so pleased to receive a positive book review for Destination Dachshund from one of the most prestigious brands in publishing – Kirkus Reviews. 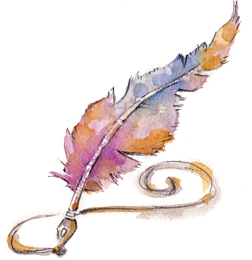 Servicing the book industry since the 1930’s, Kirkus Reviews ‘stands for integrity, honesty and accessible reviews written with an insider’s eye’ and the Kirkus Indie program gives self-publishers like me the chance to earn honest critical review. I am pretty happy with the review (read full review below). To have received a positive review from such a respected player in the book industry means a lot to me. If the only slightly negative thing they can say is that we walked past a memorial to fallen Jews and then spotted a dachshund is a jarring juxtaposition then I’m ok with that – that’s what happened and that is life. We were feeling sad at the memorial but then a dachshund scampered by – what are we to do except delight in that? Life is a series of juxtapositions like that. In honor of Coco, the family invents a trip-long game of dachshund sightings. 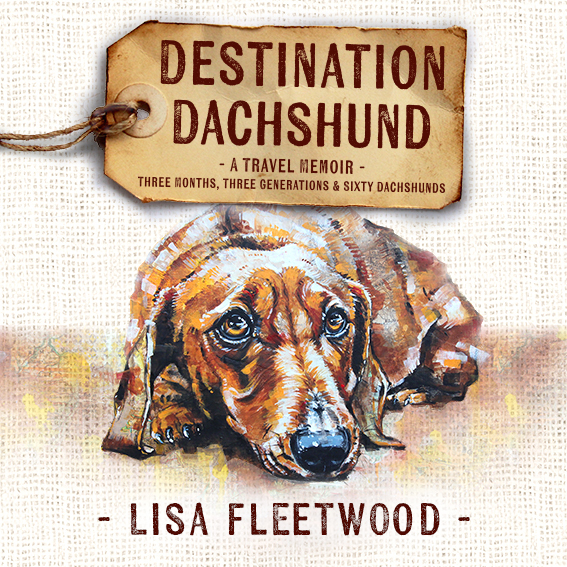 Fleetwood’s resulting chronicle of a multigenerational family trip—86 days, 15 countries, and 60 dachshund spottings—has an invitingly chatty tone that makes one feel like one is traveling with her. The family goes to Singapore; Istanbul; Moscow; Budapest, Hungary; Nuremberg, Germany; Paris; and Dublin (with numerous stops in between), before finally reaching New York in time for Christmas. There, they discover that “People are all going in different directions and are pushy, loud and rough.” But Fleetwood is otherwise delighted by almost everything else she encounters, be it a dinner cruise on Europe’s Danube River or a Christmas market in Strasbourg, France (Christmas markets are her admitted addiction). She’s also as adept at noting what it’s like to travel with family as she is at describing cathedrals, castles, battlefields, and Roman ruins. In Turkey, for example, her 12-year-old son “barters for a fez hat that he will probably never wear again”; later, at a Paris café, she notes her recently widowed mother’s loneliness, achingly detectable under her otherwise cheerful demeanor. Overall, though, the author ably conveys the fleeting pleasures of managing a trip that embraces both grandparents and grandchildren. By the time they get to Poland, for example, the kids complain they are “churched out,” and anyone who’s ever been part of a family outing will certainly relate. A likable author makes for a likable, dog-centric travel book.